Sum of two numbers in go lang. Simple interest calculator in go lang. 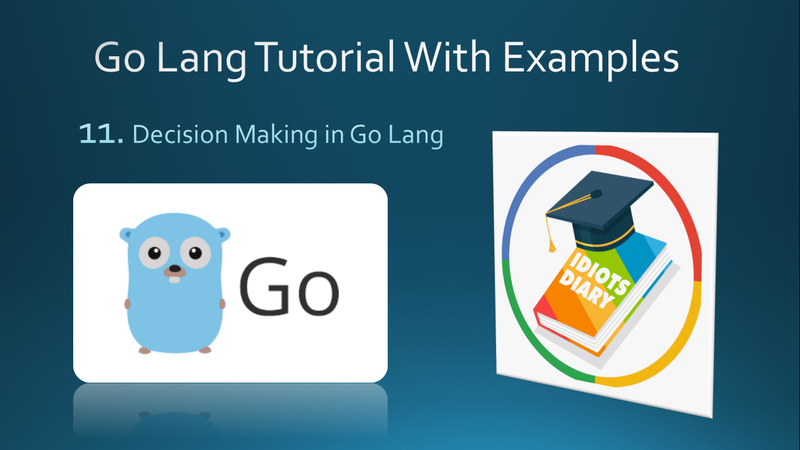 Swap two number program in go lang. Calculate area of a circle using go lang. Program to Convert seconds into hours, minutes and seconds in go lang. Compute US currency change in Go Language. Find Real roots of quadratic expression in Go Language. Calculate Distance between two points by using Go Program. Check number is positive, negative or zero by using Go program. Go Program to check a number is even or odd. Go Program to find the max of two numbers. Go Program to find the max of 3 numbers. Go Program to find the max of 4 numbers. Go Program to calculate telephone/electricity bill. Go Program to check a year is leap year or not.